If you aren't aware, I just got married few months back and I am very convince that the perfect way to save up while in a drastic event spending is to make a plan. Our wedding wasn't that big. We only had a hundred people to celebrate with us after the ceremony. And we were happy that we kept it that way. Here's a little secret, my dad's family counts as 16 siblings, not included their spouses and kids. So to have a really small gathering despite the huge amount of relatives, here's the ten money saving tips you can do to help you frugally have the dream wedding of your life. Since the engagement day, you have all the time to talk about the wedding you want to have. Talk about almost every single thing possible, from paperwork to the smallest details after the wedding day. That will help you save not only money, but also time and energy. To be on track with your planning, you need to have a checklist. There are tons of wedding checklist you can find online and they seems all to fit your needs. But be very mindful in choosing one. Not all weddings are the same. It also matter which country you are living, or what type of wedding will you have. It is not in trend today having a glamorous dress on their big day. Have you heard or seen of Meghan Markle's dress when she said I do to the Prince Harry of London? If you haven't, you might want to look at the photo on top. Our big day happened the day before Prince Harry and Meghan's wedding day. And you know what? Somehow, our dresses seems to fit in the trend. Simple but elegant. So this is me, in my wedding dress, a photo taken before we head to the ceremony hall. 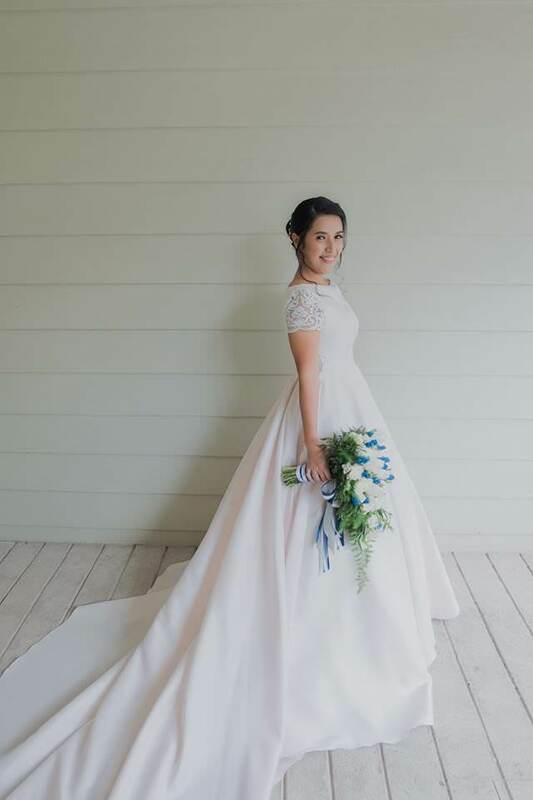 I am very proud of how my dress turned out. The tailor that we picked made it really nice and fitted me perfectly. It is 95% satin and 5% lace (for the sleeves). A lot actually commended me on having such a decent and fab dress. In the Philippines, brides use to have a stunning and shinning shimmering design. But trends are changing, so as the needs of each and every bride. So even though your wedding is still 2 years from now, you should plan ahead which style would you want. 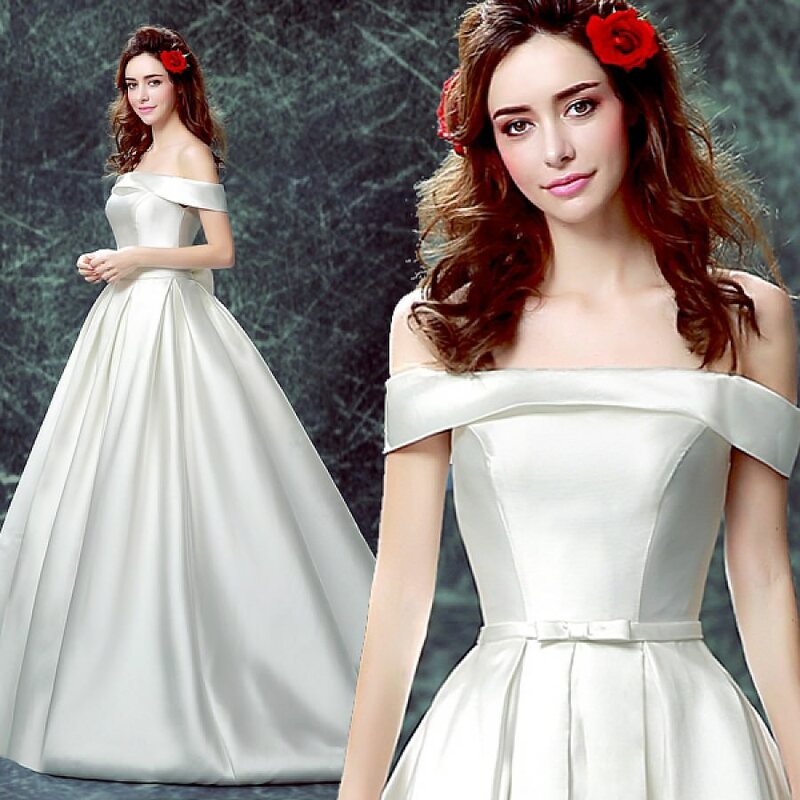 To help you with, I've discovered these wedding dresses and bridal gowns from PromShopau and you might want to consider them as well. 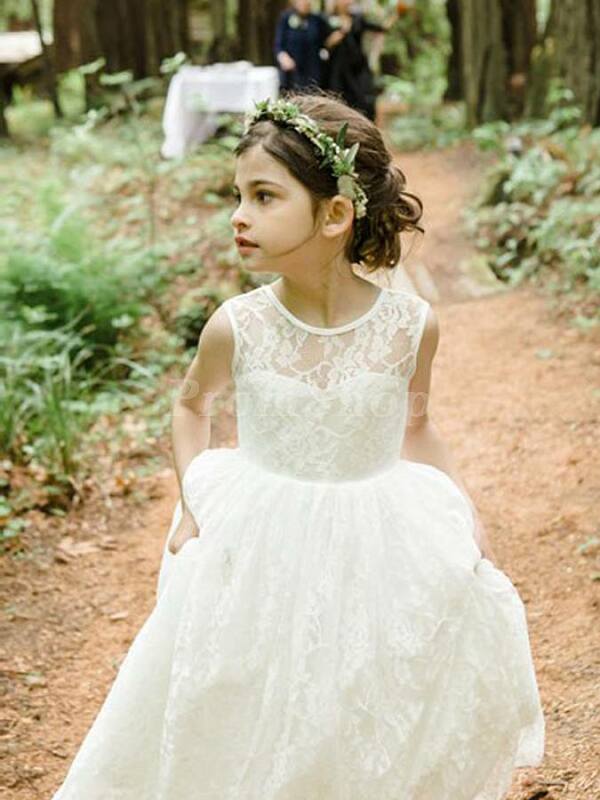 You can even find cute flower girl dresses with very low prices, and can be shipped immediately after payment. How cool is that! If you prefer to have an outdoor reception, then it is always better to have the ceremony at the same place as well. This will not only save you money, but also a lot of time when travelling here and there. The visitors will also be very happy to learn that they don't need even to move a muscle to get to the party hall. All of our invitations and wedding favors were handmade. Although it took us more time to finish everything, we find that they're all worth it. They were as how we planned it, plus, it also gave us time to spend and be closer to each other. In all of the items that you will buy for the big day, make sure that you have looked for other suppliers and checked for the price. You can also haggle a bit, if they allow. Why not? If you will have a wedding coordinator, or MC on the feast hall, you might want to get a non-paid person. Why not have a close friend or a family for these duties? They'll not say no to you for sure, otherwise, you're a less likable person. A lot of weddings now consider RSVP's. And that is when they only have a limited number of invites for the reception. Let's be honest, even thought we want to feed everyone, we are all conscious still on how much we will spend for this. It is somehow one of the biggest expense you'll have on a wedding. So if you say that a family will only have two seats reserved, you need to be firm and there's no negotiating. There will always be newly weds within your circle of friends. You don't need to be haughty and shoulder all the spending. If there are things you can borrow, you should take your chances and do not hesitate to ask for more. They will not mind for sure. After laying out your plan and making some comparison, you should make sure that you are sticking on it but still realistic. There might some things that will not go with how you planned it, but if cases arise, be reasonable. You never want to waste you time unknotting an impossible knotted thread. So, there you are. I hope that you find this post helpful. If you want to know some of the suppliers that we used for our big day, or there is something that you want to borrow from our wedding, don't hesitate to give me a ding! Have a great day! And may your wedding day be as pleasant and successful as how you planned it! Again, don't forget to visit PromShopau for more fashionable dresses at the best prices to save more for your wedding! Super informative and you look fab on your wedding dress. Mine was a disaster 🤣 I want to have an intimate renewal of vows actually.